The judge has decided: Caspian is NOT coming home to Nadia! Within the past few hours, Nadia has received a verdict by e-mail and Margaret Hennum has talked to Nadia’s lawyer by phone. The judge has ruled against Nadia and Caspian. The Wings of the Wind has been told by a good source that there was only one thing the judge considered in this hearing. A police report was filed by someone at the Vilde Mothers’ Home on the 6th of May. Nadia had left The Vilde Mothers’ Home with Caspian the day before, on May 5th, less than two months ago. The judge’s ruling was based solely on this report. Nadia’s lawyer Harald Grape was very surprised by the decision and appealed the verdict today. The report of a doctor was not considered in the decision. A doctor approved by the Barnevernet had a checked Caspian’s health and found no signs of neglect. This check up took place the day after Caspian was taken from his crib on Monday, June 13th. Caspian was doing well with his mother. The judge did not consider Nadia’s treatment in the Vilde Mother’s Home. The Judge did not consider the report of the doctor or any of the reports or testimony made by Margaret Hennum, the pediatric nurse who had welcomed Nadia and Caspian into her own home to try and help them. The judge did not consider the good environment that Caspian was exposed to at Ms Hennum’s home. The appeal by Nadia’s lawyer, Harald Grape, was made to Tingretten, which is some type of lower court or Council Court in Norway. The Wings of the Wind will give more information about Tingretten in a future update as this information was only learned from a good source moments ago. It is not known at this time when this case will be heard. Harold Grape is hoping that it will be before the previously proposed date that had been set if Nadia had been entrusted with her son. The date for that court hearing had been set for August 25th. Mr. Grape is hoping that this case will be heard before that date. This publication is tracking the events as they occur in Norway in modern times. It is my understanding that this account is not unusual in Norway. The majority of evidence can be in the mother’s favor and still not be even considered. This is not democracy. Where is the due process afforded to any citizen of a democratic society? Damage has been done today. How much damage has been done we may never know. A child has been deprived of his loving Mother once again. How many times will they do this in Norway? Sadly, it is just another day there. This is not that unusual. In fact, it is common. A parent can do nothing right in the eyes of the Barnevernet when it chooses to look at a mother as a bad parent. Good things that the parent tries are seen as bad. All one has to do is read the account first reported in THE RISE AND FALL (?) OF THE NORWEGIAN CPS to understand what many young mothers in Norway are going through. It is a very sad day in Norway. This entry was posted on Monday, June 27th, 2016 at 1:24 PM and is filed under Commentary, News. You can follow any responses to this entry through the RSS 2.0 feed. You can leave a response, or trackback from your own site. I will only comment one thing. I don’t know nothing about this case and have nothing against the mother – but you have to understand one thing, Chris – it’s the mother and her handling of the daily care that is – or have been – the question – not what will be considered as activist support have achieved in a care situation outside the CPS and the “voluntary” help measure. It’s the situation between the mother and the baby that has been needed to get observed and tried to imrpove. If Margaret had wanted to help the mother and the baby for the coming 18 years she could have asked the CPS to be their 24/7 or whatever size needed to secure the daily care for the baby growing up to be an adult or she could have asked to be the foster home – if done she had to follow the visitations opened up for – she had to consider herself as a professional parent working for the CPS and with the loyality to the task. For someone who doesn’t know anything about this case, “someone,” you sure seem to know a lot and have opinions. You are aware of an article in Dagbladet about this? It seems that you are speaking out of two sides of your mouth. Please identify yourself for all to see. Apparantly you havnt read the reports Hennum wrote. She wrote that the baby was doing fine in his mothers care! That the mother was capable to care for her son alone. I read some parts of the reports that are posted publicly. And they are about the mothers care, and no mention that there was a need for supervision. What you have read is correct as far as I know, Anonym. I think you have briefly summarized why Nadia should have the opportunity to parent her own child. Any other way of treating this case seems to be cruel punishment for what reason? It was not in my intention to be an “anonymous”, Chris – but I forgot that I hadn’t made a comment on your blog before. I just forgot to give the details – but – after reading all my other comments on the Mr. Prunean blog you must have recognized my type of English. It did seem like you, Knut. This is an interesting comment, Knut. Aren’t you the messenger of internal affairs for the Barnevernet? Interesting comment here, Knut. Having never met this woman that has lived in my home for 7 weeks now, you say: “It’s the situation between the mother and the baby that has been needed to get observed and tried to imrpove”. How can you possibly say anything like that?? Yes, it is, rodi. This is symbolic of the CPS system in Norway. It is just another day in Norway, another day and more children are without their loving mothers. I guess every day is a sad day for humanity in Norway except that this was personal as I feel as if I know these folks now that I’ve been watching the story for awhile. Nadia and Caspian are the only ones like them that God has ever made. Yet, the love between mother and child is similar in so many cases. It is very sad to see that love torn apart for no good reason. Sad. Very very wrong and sad. There is no need for anyone to be observed and “evaluated” at a mothers’ home. It is normally not of any help whatsoever. There is nothing but quackery and harassment going on there. The “observers” are completely incompetent to judge what they pretend to judge and totally incompetent to teach any parent anything of value. All the “symptoms” of “insufficient attachment”, “skewed development” etc etc are so much nonsense. I really wish there were an English edition of John Hollen’s book “Formynderterror – historien om en barnevernsak” (Guardian’s terror – the story of a Barnevern case). https://www.bufdir.no/Barnevernsinstitusjoner/Viktoria_familiesenter/. The forced incarceration there drove the mother literally to death’s door, she had in the end to be brought urgently to hospital and it was touch and go. 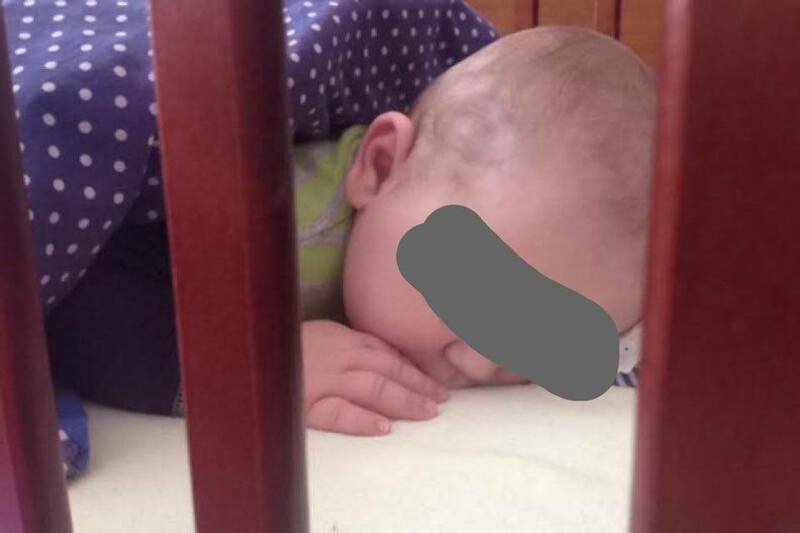 While at this “family centre” they had not been given any help, while they were at home the baby’s grandmother had by Barnevernet been denied the right to help in the home or with the baby, while Barnevernet’s representative sat in the home “observing” and writing down, all day every day. “Både psykolog-rapporten og mødrehjems-rapporten inneholder en rekke påstander av hva klienten skal ha uttalt, som hun ikke selv vedkjenner seg. Det forekommer også åpenbare misforståelser av hva hun kan ha sagt. Eksempelvis: ‘Hun mente at hvis hun og barnet bodde for seg selv, ville hun kunne regulere sitt liv på en mer naturlig måte. Det ville f.eks. ikke være nødvendig å stå opp så tidlig’. “Etter at barnevernet opphevet den “sperrede adressen”, hentet og leverte barnefaren selv barnet på mødrehjemmet. Moren ba da personalet om hjelp ved overleveringene for å slippe den psykiske belastningen ved dette. Personalet mente imidlertid at det ville være “mer skånsomt” for barnet at moren leverte og tok imot det selv. Det er derfor klart selvmotsigende og uredelig å skrive følgende: “Mor har vansker med å sette grenser. Dette ser vi spesielt i forhold til barnefaren. Han kan utsette mor for stort ubehag og press uten at mor markerer overfor ham” at hun ikke aksepterer fars adferd”. “Det er mange grunner til at man ikke uten videre kan betrakte opphold på mødrehjem som et hjelpetiltak. For mange mødre vil opphold på en institusjon hvor de blir overvåket, umyndiggjort og kontrollert døgnet rundt, og hvor deres tanker, følelser, handlinger og ikke-handlinger blir rapportert videre til barnevernet som siden kan bruke dette mot dem, være en sterk psykisk belastning. Et annet eksempel illustrerer dette: En ung enslig mor med en 4 år gammel sønn kontaktet sosialkontoret for å få hjelp til å plassere gutten i barnehage. Sosialkontoret foreslo da opphold på Bergen Mødrehjem, som ble fremstilt som utelukkende et hjelpe- og avlastningstilbud. Hverken moren eller barnet har tidligere vært plaget av angst eller andre “psykiske plager”. På mødrehjemmet fikk gutten en 2 år gammel venninne som han stadigvekk leiet rundt på. En dag forsvant venninnen, men ikke moren. Også andre barn sto i fare for å bli fratatt sine foreldre. Stemningen blant beboerne var amper og nervøs. Moren ønsket nå å flytte ut av mødrehjemmet. Barnevernet foreslo at de kunne “hjelpe” henne med overgangsleilighet. Betingelsen for denne hjelpen var imidlertid at de kunne komme på uanmeldte besøk i hjemmet. Moren ville ikke motta hjelp på slike betingelser. Barneverns-konsulenten sa da at hun ville reise sak om omsorgsovertagelse dersom moren ikke tok imot “tilbudet”. Man hadde, ble det sagt, observert at gutten virket nervøs og engstelig. Moren fortalte undertegnede at hun på dette tidspunkt, for første gang i sitt liv, følte seg psykisk nedkjørt. (There are many reasons why a stay at a mothers’ home can not be considered unquestioningly as help. For many mothers, the stay at an institution where they are monitored, their right to self-determination taken away, where they are controlled and checked on around the clock, and their thoughts, feelings, what they do and don’t are reported and passed on to Barnevernet, which can later use this against them, be a heavy psychological burden. Another example illustrates this: A young single mother with a son 4 years old contacted the social office to get help to get a place at a kindergarten for the boy. The social office suggested that she should stay at Bergen Mothers’ Home, which was described solely as a help-and-relief offer. Neither the mother nor the son had previously been troubled by anxiety or other “psychic troubles”. At the mothers’ home, the boy met a 2 years old girl, whom he frequently led around by hand. One day this little friend disappeared but not her mother. Other children there too were in danger of having their parents taken away. The mood among the residents was upset and nervous. This boy’s mother now wanted to move out of the mothers’ home. Barnevernet suggested that they could ‘help’ her with a temporary apartment. The condition attached to this help was, however, that they could come at any time on unannounced visits in the home. The mother would not receive help on such conditions. The Barnevern employee then said that if the mother did not accept the ‘offer’, they would initiate a case for taking over the care of the boy. They had, it was intimated, observed that the boy seemed nervous and frightened. The mother later told me [Aage Simonsen] that for the first time in her life she felt psychologically run down. And this is just a little of the documentation available on the subject, Marianne? Thank you for sharing. This information fits the account that Nadia has given to a “T.” These “Mothers’ Homes are very bad places for any parent. Many don’t understand the consequences of being in one until one experiences it for themselves. Yes, there are many more details and stories. So many, in fact, that when you have solid evidence that some of them are totally factual, most of the others weigh heavily in the same direction: the families are normally forced to reside there, if they do not comply their children are taken so it is not voluntary; the surveillance is almost beyond the imaginable, the criticism likewise. There are probably so many eyewitness accounts of which I and others are not aware, Marianne, that you and anyone on the Nordic Committee for Human Rights would know. The report seems to focus on Sweden, Norway, Denmark, and Finland. As the Barnevernet “Representative” who has been here will neither confirm or deny Nadia’s statements about the Mothers’ Home in Vilde, I tend to think that it is true. Put this along with the few narratives I have heard, and Vilde, at least, has major issues. Do you, or can you refer to someone who does, have information about Vilde or the Mothers’ homes in general? Is there a report somewhere (biased or not), about this subject? I’ve checked the internet and there is so much there about good/bad Mothers’ Homes. Synnøve Johansen is a Norwegian mother of three children. She ended up under the spotlight of Norway’s CPS (barnevernet). How long has this place in Horton called “Vilde” been in operation and what more do we know about it? It is almost a month after you have sent this comment in, Marianne. I found it in my “trash” today, July 27th, and restored it to the position where you intended it to be made. How this ended up in the “trash” I’ll never know but I’m sorry that I didn’t check sooner. This comment was a bit of work I’m sure and contains valuable information. I will have to check my “trash bin” more often. It is the regular court of first instance in Norway, for all types of cases. Fylkesnemnda (The County Committee), which has considered Nadia’s case just now, is not a court, it is an administrative unit which social cases involving duress have to be brought to, before they can enter the regular court system. Now I know more about the Tingretten. How many levels of courts are there in Norway? I understood that The County Committee (Flkesnemnda) was not considered a court. There are three levels in the normal court system: a district court, an appeal court, and the Supreme Court. Not every case is accepted for appeal, and even fewer are accepted for the Supreme Court. Over the last years, the possibility of appeal in Barnevern cases has been more and more restricted. They really want the county committee (CC) to be a first court and then the district court to be the only appeal possibility. Way back in the early 1990s, if Barnevernet lost a case in the CC, they could not bring the case to the court system, while if the family lost in the CC, they could. They the rights of Barnevernet were widened, so that they too could go to the district court if they had lost in the CC. Naturally, it was explained as a possibility for Barnevernet in the rare instance of insufficient treatment in the cc. Also naturally, that was not what happened: Barnevernet routinely went to the courts with every case (the few) they lost in the CC, and always tried to get a stay order, that is acceptance from the courts to keep the children while awaiting trial in the courts. So, the Barnevernet has continued to get more power to remove children from loving parents as time has passed. I’ve read that in only the last several years how the numbers of children placed in foster care has increased quite dramatically. I think this is a bad thing for the biological family. The philosophy behind these actions seems very flawed and unnatural. “a bad thing”, Chris! You can say that again!! This is bad first for the children themselves. Then for their siblings and parents. And finally for the whole society. A fed dozens or hundreds of Separation Anxiety Disorders expected per year. I did not think that ONE PERSON could be called a COMMITTEE.. They decide how many they think are needed. It is the same in court: Sometimes a case in Tingretten is decided bu one judge alone, if it is considered plain sailing. I may be mistaken, it may be only when it concerns confirming or rejecting an emergency taking that the CC is set with only one person. It is a strange term in English too, Margaret. It is September 2nd, 2016. I vaguely remember reading this, Marianne, particularly the story of the little boy and girl. I can’t believe I didn’t respond to this at that time. Maybe I was busy. I don’t know. I have tried more than once to get even a part of one of the training manuals used to train the observers in these “Homes.” I have been unable to find one and there must be so many laying around after all of these years. I will continue to ask CPS sources that I am in contact with to produce such materials. I have asked Knut N. on several occasions and gotten nothing. I have asked around and don’t remember getting anything but something very brief and unofficial. Thank you for this thoughtful and informative comment. As long as the sources are right about the judge’s ruling, the ruling violates the European Convention for Human Rights multiple times. – Article 8 of ECHR requires the intervention to be neccesary in a democratic society, and hence this question is to be investigated in itself and it is the jugde’s duty to state reasons in the light of all evidence. and secondarily request the court to judge the case in substance, that care order was not necessary in a democratic society at all. remark: European Convention for Human Rights — aka Convention for the Protection of Human Rights and Fundamental Freedoms — has been ratified by Norway and is in force since 1953. Shortly speaking: in case ECHR forbids state intervention into some human rights — and ECHR is in force in Norway –, no domestic law (including Norwegian Child Welfare Act) can justify the intervention. Neccesity in a democratic society is key, independently of Norwegian domestic law. Judges cannot afford the luxury of not deep diving into the question of necessity and to state reasons (or they violate human rights themselves). Since the ECHR is in force in Norway, as you have clearly stated Jasper, what is the reason why the Barnevernet of Norway continually violates these rights? I am asking for an opinion, of course, but it would be great if you could provide what you feel is evidence for your opinion. I am aware that the ECHR has condemned the Barnevernet of Norway in the past and there has been no major change in the philosophy or behavior of the BV. La honte a Norvege !!! Many would agree with you, Tabita.